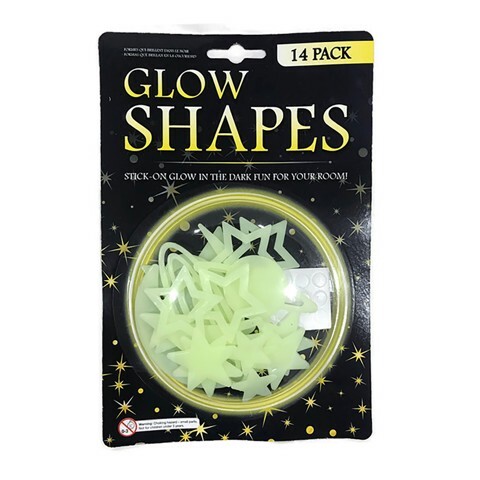 Glow In The Dark Shp 14Pcs. Assorted sizes and shapes. 4 asst styles. Plastic. 88G Packaging: Hang Sell Blister Card.